What makes a monster and what makes a man? This is the central theme of The Hunchback of Notre Dame, a sweeping, grand-scale musical from Disney Theatrical. 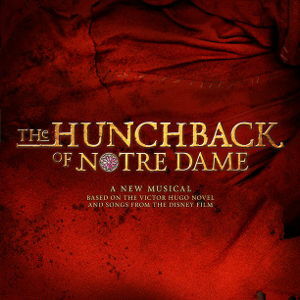 Based on the 1996 Disney film and Victor Hugo’s 1831 novel, The Hunchback of Notre Dame tells the story of Quasimodo, the hunchbacked bell-ringer of Notre Dame, and his desire to one day be a part of the outside world. When he summons the courage to attend the Feast of Fools, he meets Esmeralda, a compassionate gypsy who protects him from an angry mob. But at the same time, Quasimodo’s master, the archdeacon Dom Claude Frollo, and the new captain of the guard, Phoebus de Martin, fall in love with the beautiful girl. Adding to Quasimodo’s struggle is his punishment and derision from Frollo, following years of psychological abuse, and the danger posed by the gypsies, who are willing to kill any outsiders who venture into their secret hideout. But before Paris is burned to the ground, will Quasimodo be able to save Esmeralda from Frollo’s lust and anger? Will she return Quasimodo’s affection? Who is the true monster of Notre Dame?